Besides all the announcements it was good to see customers like IKEA, NetApp and Philips on stage explaining their challenges and how SDL helped resolve them. 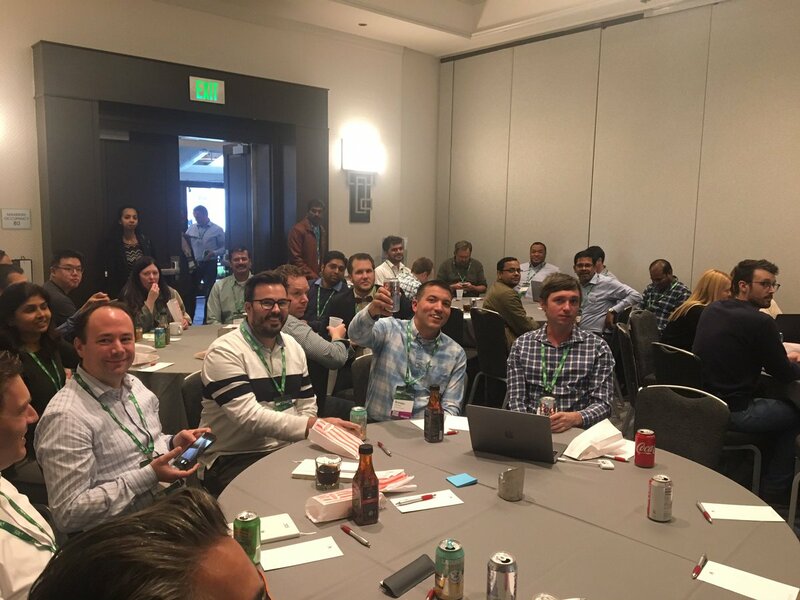 New this year was the SDL Innovation Center where experts answered questions and showed demos of the new SDL products during networking breaks. There were a lot of interesting sessions and too much to cover. So, let me show you my favorite topics of SDL Connect 2018. 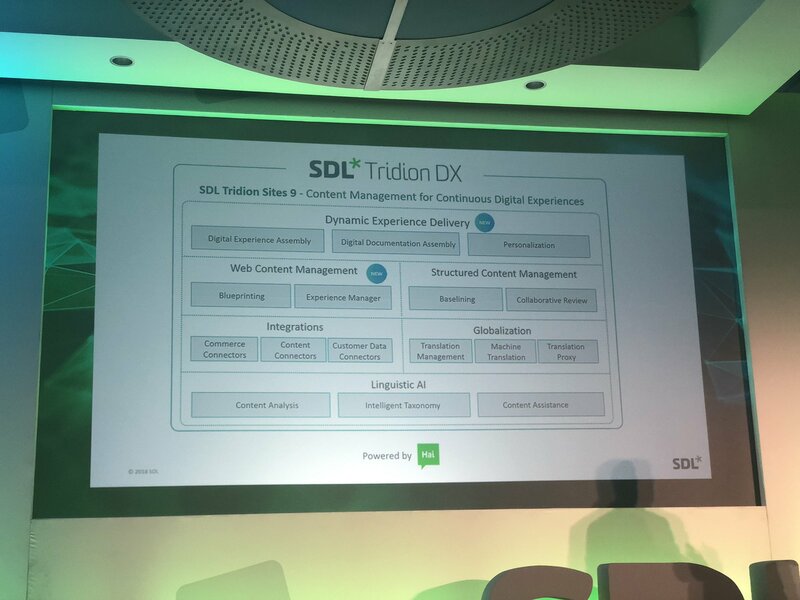 The biggest announcement during SDL Connect 2018 was the new version of their flagship product: SDL Tridion Sites 9. This enterprise content management system is part of a bigger suite: Tridion DX. Overview of the newest features is described below. Staged and rolling scenarios for smoother upgrades in the future with zero downtime for users. The researchers from Forrester recognizes the trend that the GCOM becomes more and more important. The customer journey in the past was often marketing driven and only touching the first few touchpoints. Companies recognize that product information has a great impact on customer experience and loyalty. To be able to provide the right content in the right context companies need a well-organized content supply chain. This research shows that SDL is on the right track combining marketing (Sites) and product information (Docs) in the Tridion DX suite. Another trend is the growing amount of content required for the (translated) omnichannel experience. 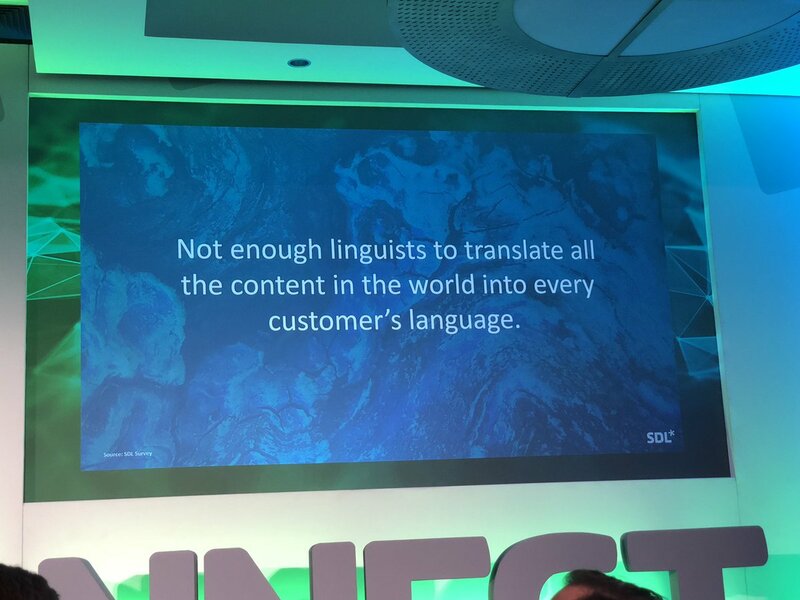 Translations have always been the core-business for SDL, but they are now showing that AI and ML technology can and should be used to lower the cost and time to market. Another announcement was related to their translation solutions. SDL has the world's first secure Natural Machine Translation (NMT) solution that is available across on-premises and cloud boundaries. For companies that have content that should be in a self-controlled environment can opt for a fully on-premise version. An interesting feature is a hybrid solution. In the scenarios when on-premise translation capacity is reaching limits (incidental bulk operations), you can send packages to the cloud for translation. Companies that want full flexibility and scalability can use the cloud version. SDL has strong AI expertise in NMT which up till now has been used for speeding up translation processes, better quality and lower costs. 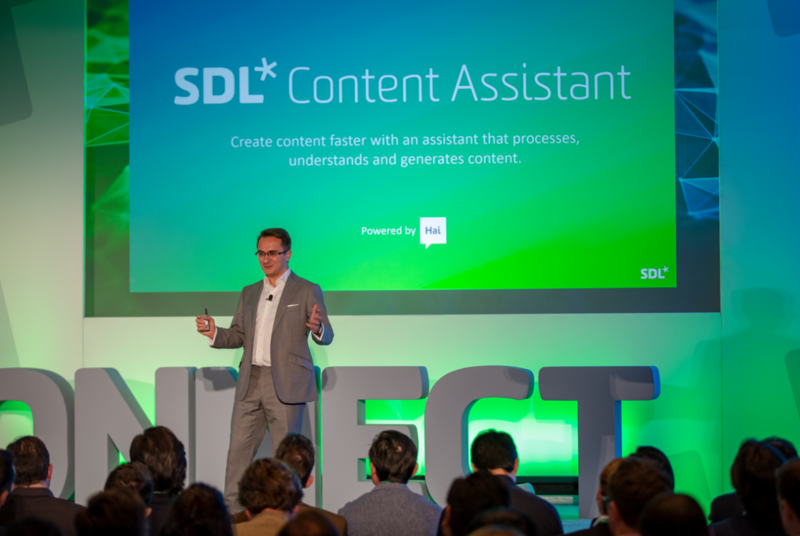 During SDL Connect they announced a brand new product: SDL Content Assistant. This stand-alone application can assist Editors with AI enabled generated content. Its strong points are creating high-quality content with multiple variants in the right context. CA will be introduced slowly by a closed beta program, but it is exciting to see where SDL is headed. It was great to participate in the user group session, hosted by Joseph Yu from Wells Fargo. A lot of great discussions about what 'headless' really means and how that works in the real world. Also a great presentation about Content as a Service (CaaS) and how much different it is than Dutch cheese (KaaS) by John Winter. Niclas Cedermalm showed his big plans on the connectors and was taking notes on some valuable feedback. It was a great conference. Thanks to SDL for having us and thanks to EPAM for allowing me to visit it. SDL Connect 2017 conference with news about Tridion DX, Tridion Sites and Tridion Docs.